Nick is a Managing Partner of Arthur D. Little in the United Kingdom. Most of his career has been in consulting with energy-company clients, after an early career in the UK Department of Energy, working on economic issues in the North Sea oil and gas sector. He has been with Arthur D. Little since 1984, apart from a five-year period working as a consultant in another firm. Nick has over 35 years’ experience in the upstream oil and gas industry and the European gas and power industries. 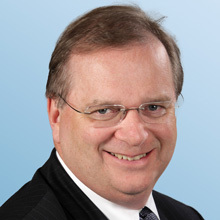 He is heavily involved in dispute resolution work relating to gas-price review arbitrations, building on his experience with negotiation of fiscal terms and GSAs, as well as studies of the market value of gas in various European markets and prefeasibility studies of new gas infrastructure such as pipelines, LNG projects & power plants. Other than his client work, Nick’s main responsibilities are growing Arthur D. Little’s business in the United Kingdom.